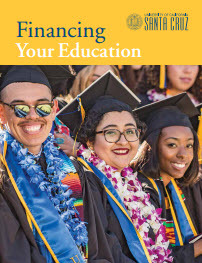 "Financing Your Education" provides basic information about financial aid programs, eligibility, how to apply, and important application deadlines. "Financiando Su Educacion" contiene la información básica sobre programas de ayuda financiera, elegibilidad, solicitar, y fechas límites para entregar la solicitud. UC's Blue and Gold Opportunity Plan will cover your educational and student services fees if you are a California resident whose family earns less than $80,000 a year and you qualify for financial aid — and that's just for starters. The Middle Class Scholarship (MCS) Program is meant to make higher education more affordable. 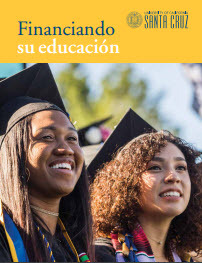 The Middle Class Scholarship applies to undergraduate students with family incomes up to $150,000 and who attend a University of California or California State University Campus. The Education Master's program begins and ends in summer - it crosses 2 academic years. This guide helps students navigate financial aid requirements.